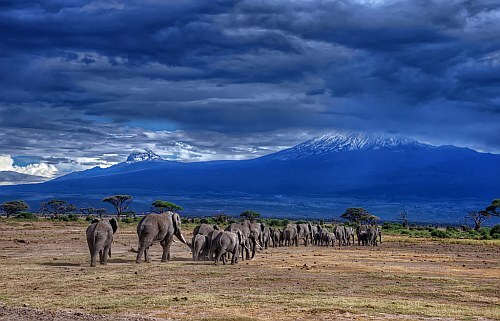 KLM has dropped the price of their flights from Toronto to Dar Es Salaam and Kilimanjaro, Tanzania down to between $790 and $880 CAD roundtrip including taxes. 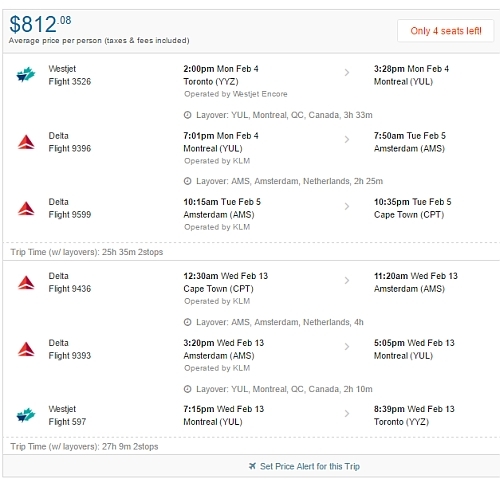 KLM and Air France are also showing flights from Toronto to Cape Town, South Africa for $820 CAD roundtrip including taxes. And Delta has dropped the price of their flights from Toronto to Johannesburg, South Africa down to $807 CAD roundtrip including taxes. You can also turn these into 2-in-1 trips and visit both Amsterdam and Tanzania for about the same price. toronto, yyz, flight deals, nairobi, kenya, nbo, africa, entebbe, uganda, ebb, johannesburg, south africa, jnb, cape town, cpt, east africa, kilimanjaro, tanzania, jro, dar es salaam, dar, khartoum, sudan and krt. 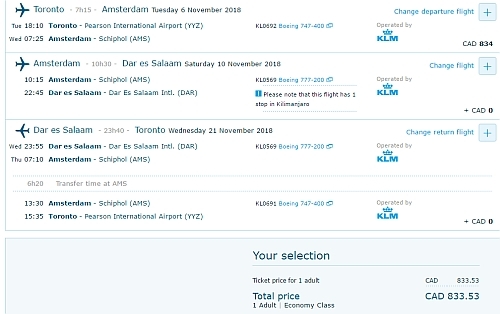 3 Responses to "Toronto to South Africa, Tanzania, Kenya, or Uganda - $790 to $880 CAD roundtrip including taxes"
We booked for Nov 15-27 to Dar Es Salaam for $816 after seeing this post. Thanks for posting this great deal! ooooooo ...... what a beautifull nature.. quiet beauty, the sort that wouldn't let you admire it. The sort of beauty that always hurt. Not seeing these prices for April, any suggestions?